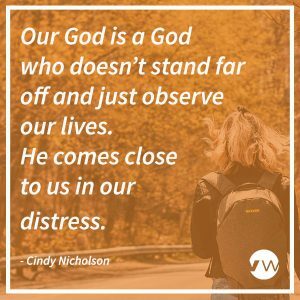 Cindy Nicholson shares a sermon entitled, The Mighty Comfort of God from The Book of Isaiah: God’s Plan for a World Falling Apart. Cindy Nicholson is a Connecticut Yankee who has found herself for more than three decades living by the shores of Lake Michigan in Chicago. Having married her husband Steve three years into the planting of what is now Vineyard Christian Church of Evanston, she has lived all her married life intimately involved with church planting and church life. Cindy is a teaching pastor at Evanston Vineyard and oversees the prayer teams and intercession ministries. 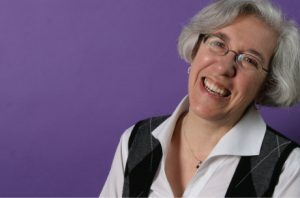 Until 2011 she served on the national board of the Vineyard USA, most recently co-leading a task force on women and pastoral ministry. Cindy and Steve have three children, all now married with children of their own.